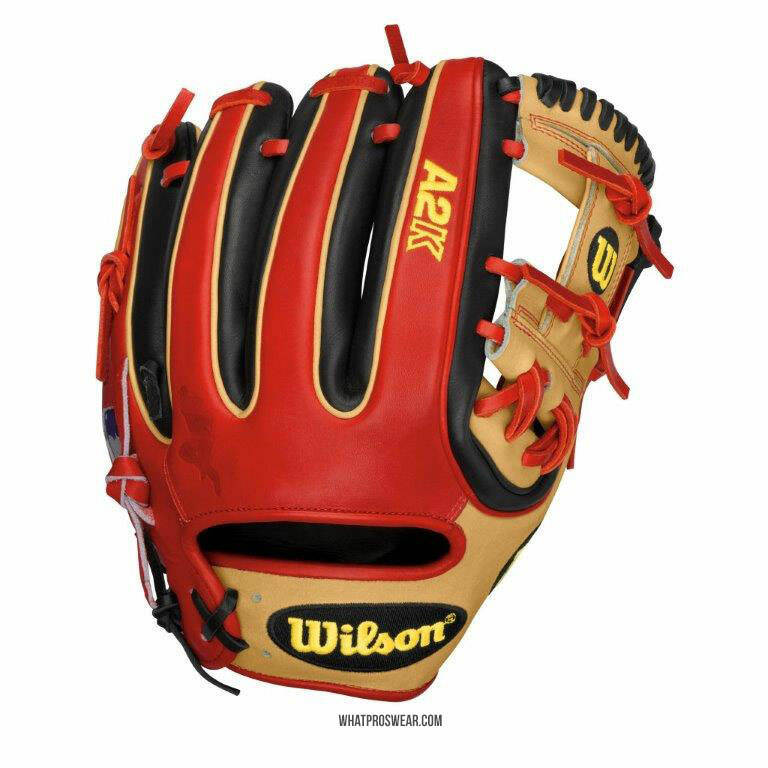 Ever since we saw this Tweet, we’ve been working to bring you some better shots of Brandon Phillips’ new 2015 Wilson A2K DATDUDE glove. I’m thrilled to say that Wilson came through with even more than we could have asked. Below is the story of the actual process behind Phillips’ latest head-turner, and ultimately the final product—Dat Dude’s most unique and precise model to date. If you’ve been following along the past couple of years, Phillips seems to get his new model a year ahead of time to break in before putting it into game use, so the 2014 DATDUDE, which he received last year and has been available for sale since last year, will most likely graduate to “Gamer” this year. But what about 2015? The creative process began in the winter of 2014, and here’s how it went down. 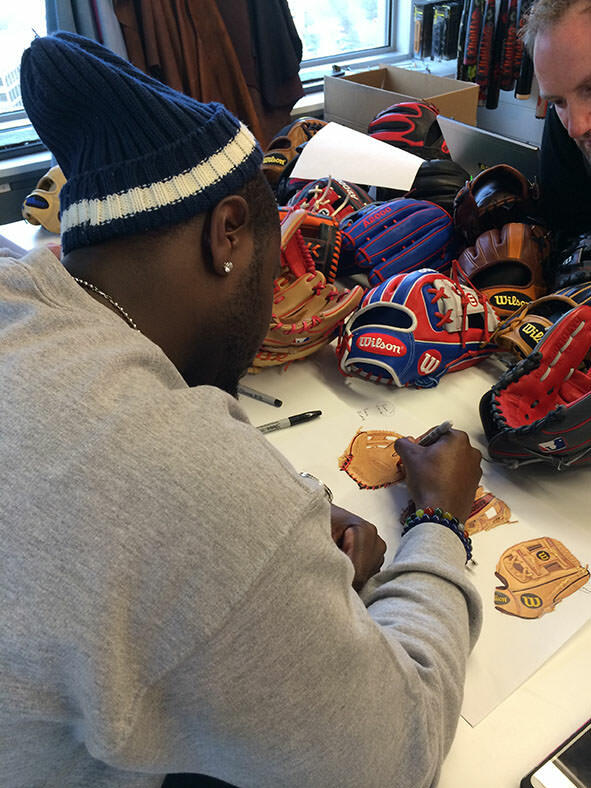 Wilson brought Phillips into their Chicago HQ, and they started by laying out some of their best custom gloves for creative inspiration. 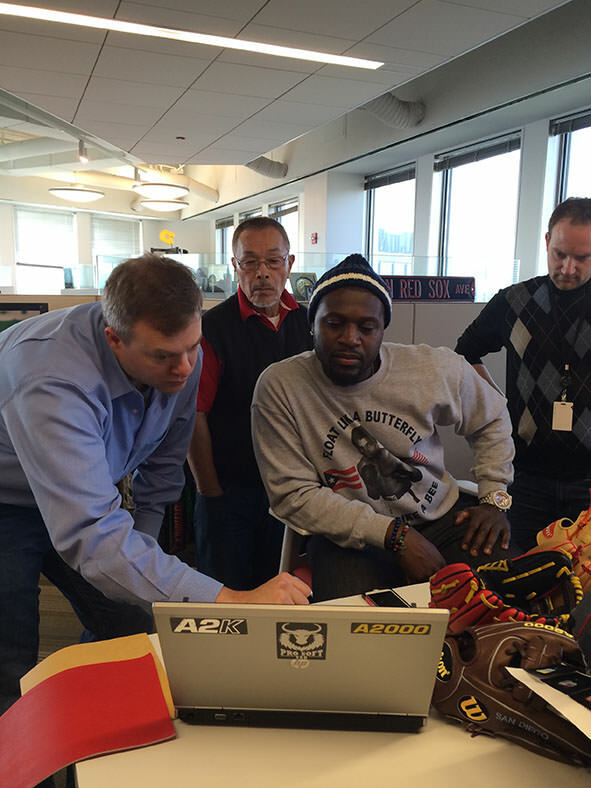 Then, Wilson Gloves Global Business Director, Michael Markovich (above left), worked with Phillips on WilsonCustomGloves.com to continue the brainstorming process behind the 2015 DATDUDE. 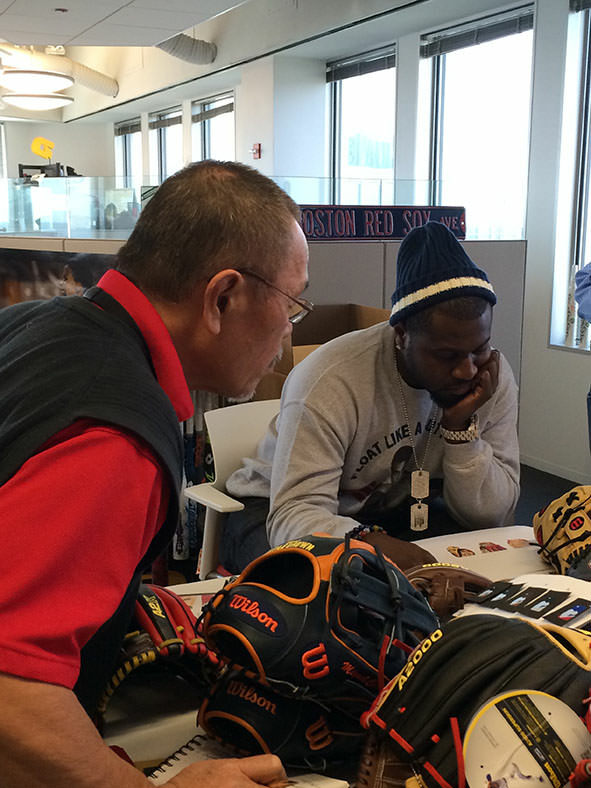 Shigeaki Aso (middle), Wilson’s Glove Development Master Craftsman, along with Ryan Smith (right), Glove Development Specialist, were also in on the project. 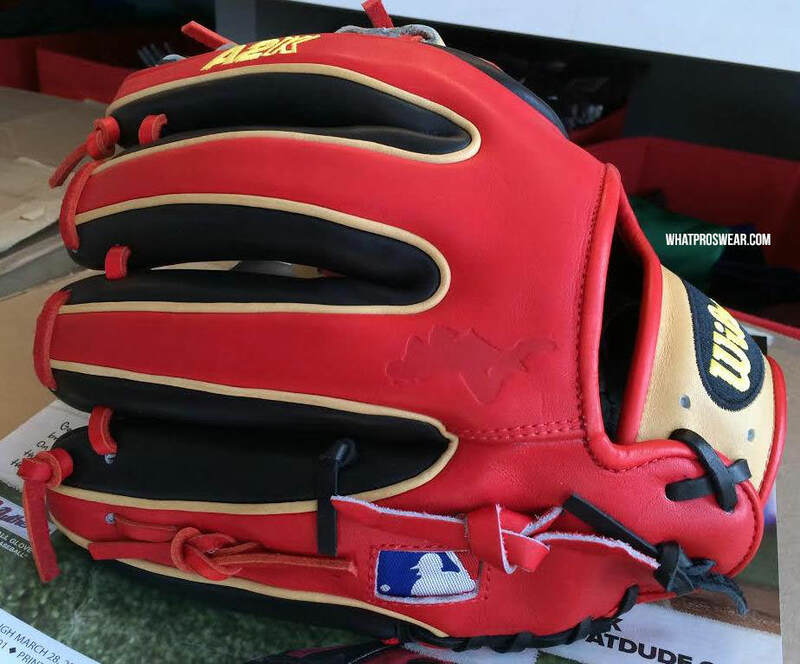 As they got further along, they realized the glove builder wouldn’t accomplish what Phillips wanted, so they busted out the Cincinnati Red sharpie and got a little more creative. Phillips drew up exactly what he had in mind. He spent hours with Wilson’s glove team, getting it exactly right. 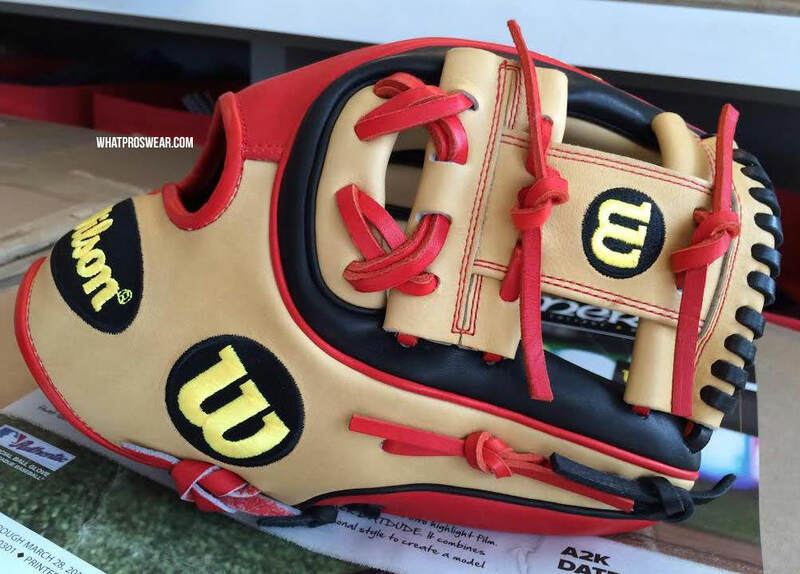 The end result is the first of its kind: a pattern that Wilson has never produced before, with aspects in the welting and lacing that are not done on any other Wilson model. 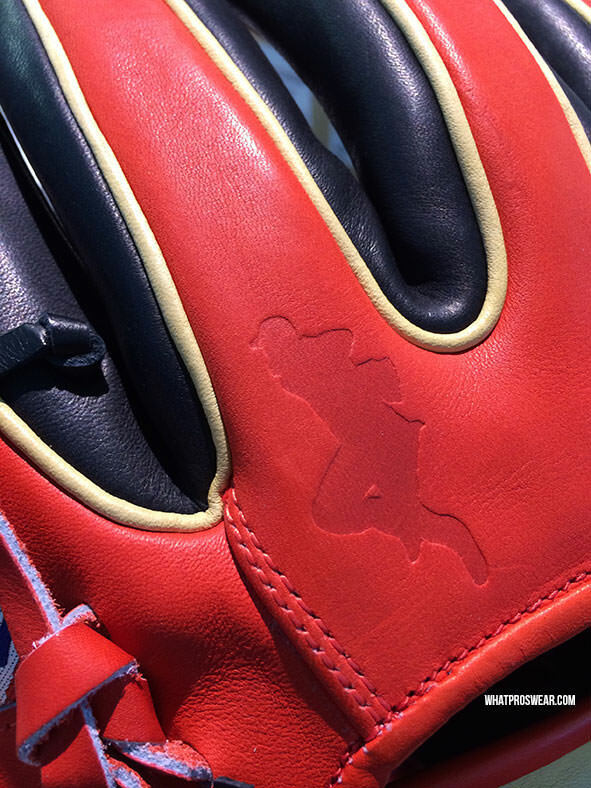 That red/camel/black contrast on the back of the glove is my favorite part. It makes the glove look like a claw. Its very distinctive and so different than what we’re used to seeing. 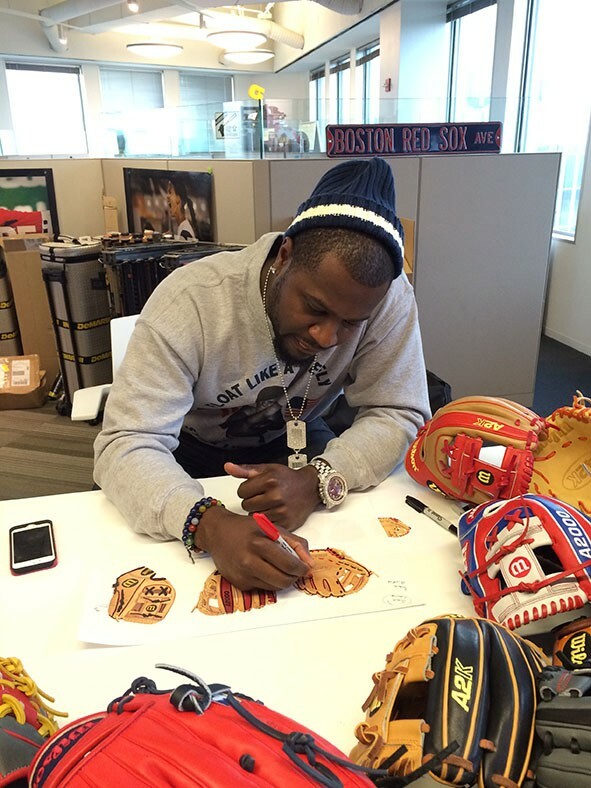 Another first in baseball gloves, the sick Phillips signature branding on the fingers. We’ve seen personal branding with Jeter’s PRODJ2 and A-Rod’s PRORV23, but never on the outside of the glove for the world to see. And now, the burning question: when will it be available?? It will be available for order exclusively from BaseballExpress.com starting May 1 and other retailers in August. A huge thanks to Jennette Rauch for working with WPW and for the great photography. Love the color. 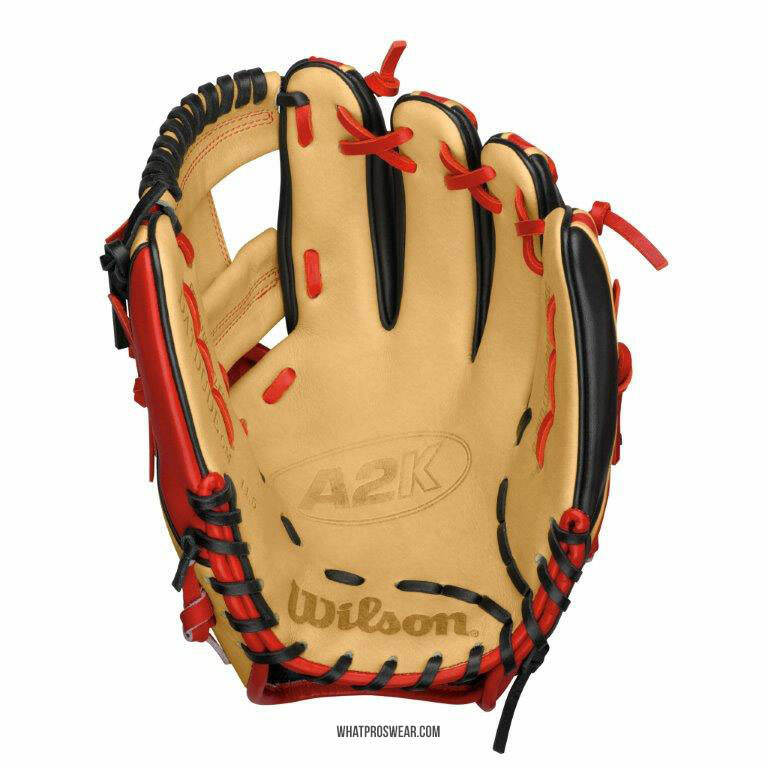 Looks like a true infielder’s glove for one of todays best infielders in the game. The welting pattern is the same as the pattern on the GOTM November MC24. Difference is that on the GOTM only 3 fingers are “colored” and this has all 4 fingers “colored”.